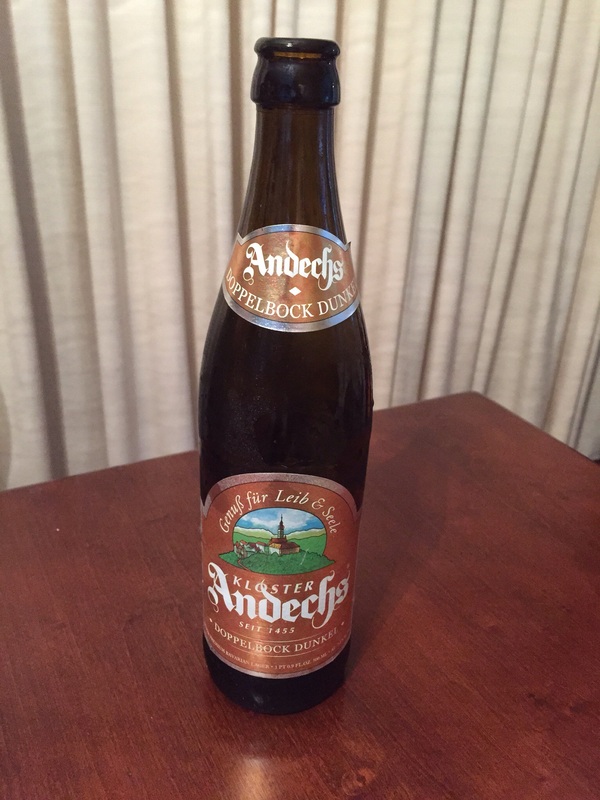 1/2 a liter of Andechs Doppelbock Dunkel. I should have poured in into a glass, but tell the truth, I was guzzling this! It has a velvety feel and a hint of chocolate aftertaste. In other words, a mighty fine beverage, especially on a chilly fall afternoon. Fortunately, I have a store close to home that sells all manner of exotic beers, with knowledgeable people at the counter to help with making a selection. Bottoms up!